Gua Sha has been used all over the world for thousands of years to relieve aches and pains, reduce stress and tight muscles, and even to ward off the almighty common cold! This ancient technique of scraping or releasing tension and toxic energy through the surface of the skin, is simple yet effective! 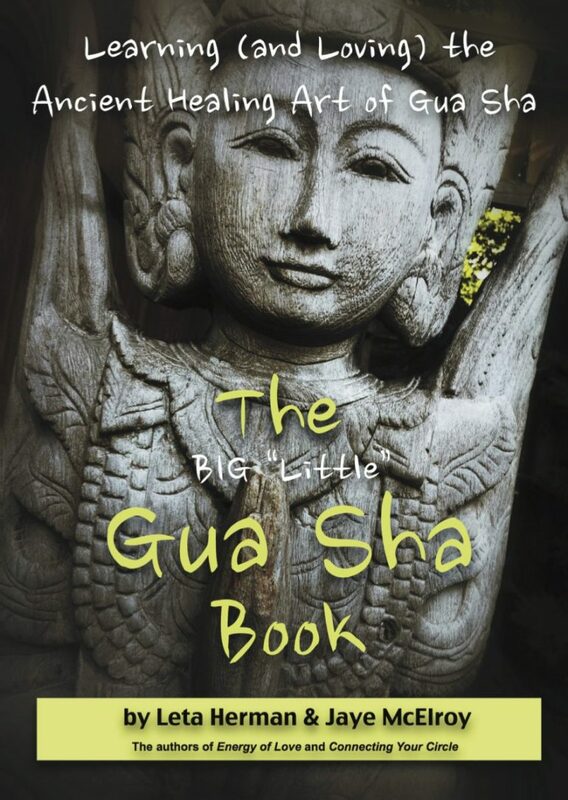 From the authors of The Energy of Love and Connecting Your Circle, comes The BIG “Little” Gua Sha Book. This 55-page book is packed with information and full-color photos illustrating beginner step-by-step instructions as well as advanced techniques based on Leta Herman’s 15+ years of clinical experience actually performing Gua Sha on clients. Leta & Jaye are co-founders of Born Perfect® Ink, a new publishing company, dedicated to bringing the ancient arts of Chinese Medicine and healing, which includes Gua Sha, into the hands and minds of all that are interested. The BIG “Little” Gua Sha Book can change the way you look at healing… forever. Take healing into your own hands… literally with Gua Sha.